Get to market faster with SolidWorks®, the standard in 3D mechanical design software. SolidWorks offers unmatched performance and value, leadership in innovation, and the largest community of users. 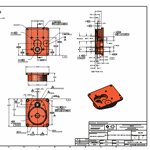 No other CAD system allows you to get product design work done as quickly and accurately. SolidWorks® mechanical design software offers unmatched performance, ease of use, and timesaving capabilities. It delivers leadership innovations and hundreds of customer-requested enhancements that allow you to get product design work done more quickly and accurately. Work faster through unmatched performance and familiar Windows® functions like drag-and-drop, point-and-click, and cut-and-paste. With SolidWorks 2006 software, design data is 100% editable, and relationships between parts, assemblies, and drawings always stay up-to-date. Reduce design steps, lessen visual clutter, and minimize fatigue with Heads-up User Interaction, a set of intuitive display and control functions. Edit and maintain DWG files in their native format with DWGeditor™, an editing tool that provides an interface familiar to AutoCAD® users. Preserve the value of legacy data with the best available tools for converting 2D data to 3D, accommodating reusable 2D geometry, and enabling a smooth transition to 3D, including extensive Help documentation for AutoCAD users. Built-in part design – Confirm design integrity easily with COSMOSXpress™, the first built-in design validation tool available for testing part designs quickly and easily within a 3D mechanical design system. Design communication – Share design concepts easily with eDrawings™, the first email-enabled tool that dramatically eases product design collaboration. 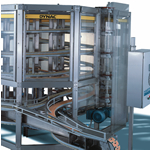 Machine design tools – Make use of a full set of weldment design and documentation tools. Get best-in-class, fully associative sheet-metal capabilities that allow you to move rapidly from the design phase to final manufacturing drawings. Save time with a library of machine design features. Mold design tools – Automate the creation of cores and cavities with built-in mold design tools. Use MoldflowXpress, a wizard-based design validation tool, for quickly and easily testing the manufacturability of plastic injection-molded parts. Consumer product design tools – Speed design of consumer products with enhanced tools for manipulating surfaces easily. Automate the creation of frequently used plastic part design elements such as mounting bosses and snap hooks. Develop concepts into detailed designs more quickly with the ability to import Adobe® Illustrator® files. Online access to ready-made components – Save time with 3D ContentCentralSM, the first built-in web resource that supplies 3D CAD system users with access to readymade components via leading online catalogs. Configuration Management – Simplify design reuse and iterations by creating multiple design variations of a part or assembly model within a single document. Create designs easily with extrudes, revolves, thin features, advanced shelling, area fill patterns, and holes using unique feature-based part modeling capabilities. Speed part modeling with unique, feature-level control over multiple bodies. Make real-time design changes with drag-and-drop ease through dynamic editing of features and sketches. Reference other parts directly and maintain relationships when creating new parts. Gain unmatched performance for designing large assemblies with tens of thousands of parts. Work faster in Lightweight mode without sacrificing design and detailing capabilities. Drag and drop parts and features into place. Speed assembly design with snap-to-fit SmartMates and reusable Smart Components that size automatically to other design components. 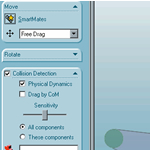 Simulate true motion and mechanical interaction between solids with unique Physical Simulation capabilities. Review multiple product variations quickly and interactively with Display States, a function that lets you easily visualize different colors, textures, and other on-screen characteristics. Combine shaded and wireframe displays as desired. 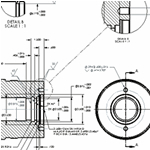 Develop complete, production-ready engineering drawings without drawing a single line or arc. Construct fully associative drawings – drawing views and bills of materials update each time that you modify the part or assembly design. Automatically create multiple views with complete, accurate dimensions. Generate bills of materials for an entire project with a single click. Automatically add balloons to every component in a drawing view and align with ease. Easily resize, spellcheck, and reuse annotations. Produce ready-made revision tables, hole tables, and other types of standard tables, as well as user-defined tables. Compare drawings easily to highlight differences and see what changes have been made from one version to another. Take advantage of a unique 3D Drawing View function that lets you view parts and assemblies in 3D without leaving the drawing environment. Sketch designs using innovative layout blocks that allow you to quickly design and manipulate mechanisms in 2D before generating 3D assemblies. Capture and modify design intent with unique 3D sketching capabilities. Generate complex surfaces using lofts and sweeps with guide curves, drag-handles for easy tangency control, and an innovative Fill feature. Trim, extend, fillet, and knit together surfaces intuitively. Translate, rotate, copy, and mirror surfaces for easier manipulation. SolidWorks 2006 has an HTML-based Help system, complete with hyperlinks and animations, online tutorials, a design portfolio with how-to instructions, and a glossary. SolidWorks 2006 provides file translators to and from nearly all mechanical CAD products on the market today.